I can’t believe I’m sitting here at a computer, learning to type. I remember when we first started feeding orphaned children. Our local church committed to bringing food – corn and beans. We asked the local chiefs to give us a list of orphan kids from the community. My own children were on the list since my husband had passed away the previous year. We struggled to find enough food to feed the 300 children who started to gather every Saturday at our church. What is my piece of the puzzle? I am the Kitchen Coordinator and Children’s Counselor. I make sure all of the kitchens at the Grace Center run smoothly and have enough food to feed all the kids in all the different programs. There are 3 kitchens and 6 programs that work out of those kitchens providing food for more than 600 people a day: Timothy’s Home, Patricia’s Home, the Preschool and Primary School, the Orphan program and the Anemia Feeding program. 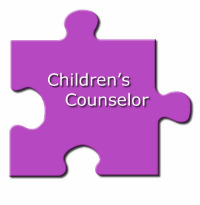 I also counsel our staff, children, mothers and fathers. I am also the treasurer for Grace Center, I manage the money you send to Malawi through our sponsorship program! Mrs. Bokho (second from the left) and the other administrators that run the Grace Center in our computer class Summer 2014. This was the first time any of them used a computer. They were trained in mainly typing skills, but they also learned Microsoft Office too! The Grace Center has changed my life. I never knew I would be learning computers, caring for so many children, leading my community in development! I praise God for giving me this opportunity and I thank Pastor Phiri for asking me to volunteer so many years ago. What Piece is in you hands? Posted on September 30, 2014 by Karen Roller.